10 Pro Makeup Tips That You Really Need To Know About! Makeup for me is all about creativity; it’s about helping you to feel great and reveal your true inner self, even if you wake up looking a little worse for wear. It’s about letting that inner vixen out, showing everyone who’s boss, enhancing your natural glow or giving you the confidence you need to step out the door with a skip and a smile. 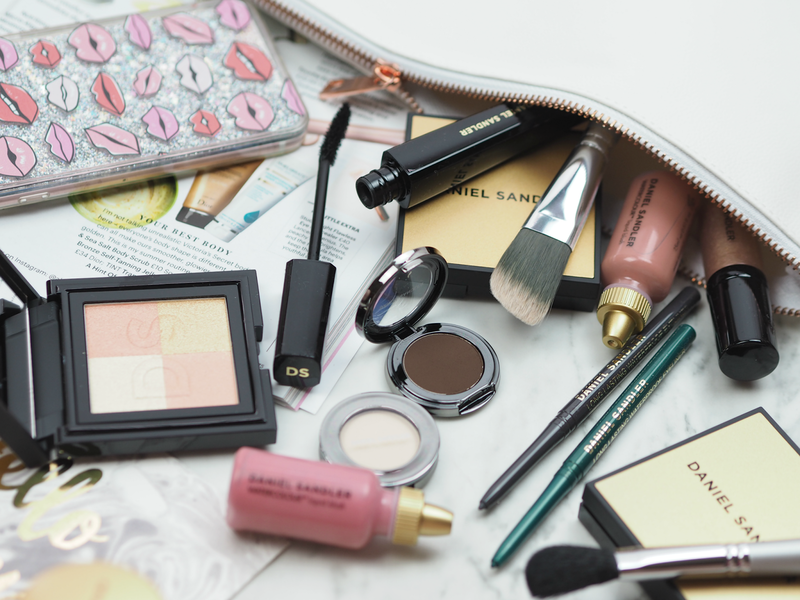 The transformative power of a lipstick, a great mascara or even just a bronzing block is far greater than any outfit – which is why it’s a multi-billion pound global industry. Although I’m all for experimentation and learning as you go, there’s also a lot to be said for embracing the tips, tricks and snippets of advice the pros have to offer; because after all, they spend all day every day playing with and applying makeup under the most pressurised conditions. 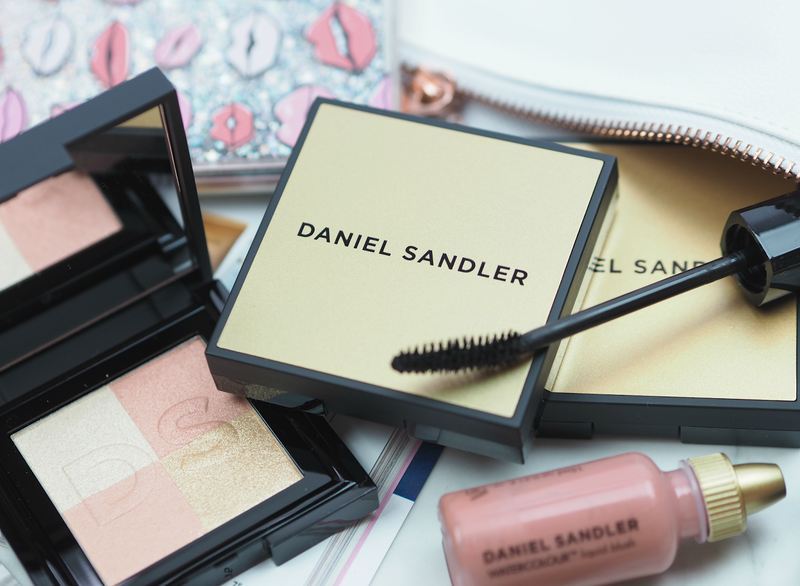 One of the industry’s most celebrated pro makeup artists is Daniel Sandler: with over 25 years experience working with some of the world’s most beautiful women, Daniel knows what works and what doesn’t. So much so that in 2003 he launched his very own makeup brand to ensure women had the tools at their disposal to create the looks they wanted, effortlessly. “To achieve your perfect look you need to select the most suitable makeup and apply it correctly. 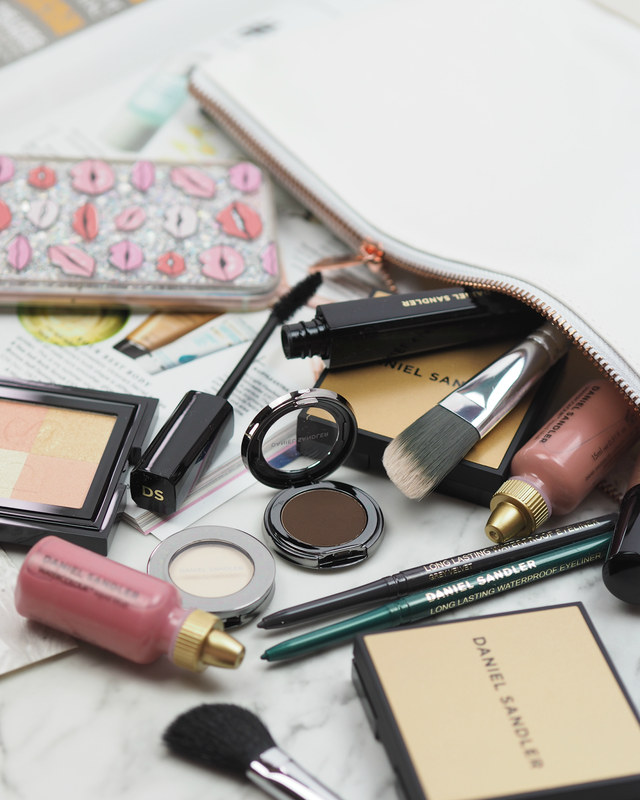 My makeup is easy and quick to apply and contains the best ingredients; I‘ve simplified how you choose products that complement your colouring so that with just three or four essential items you can look how you want to in super quick time.I feel there is a lot of unfair pressure on women to look as perfect as airbrushed images of celebrities and models, which upsets me. I believe that a woman can look her most beautiful with makeup techniques and shades that bring out her natural beauty. I focus on someone’s assets and emphasise those, so features you’re less happy about aren’t so obvious. It’s a win-win situation.The professional finish you get with my brand means your makeup lasts longer on skin and are a dream to apply, even in more testing environments such as heat or humidity. Many are multipurpose, waterproof or super long-lasting too.” Daniel Sandler. TIP 1: Choosing colours to suit you involved more than just your skin tone; your hair and eye colour will affect how a shade looks, plus what other makeup you choose to wear will have an overall impact. I suggest women try out different looks and photograph themselves, rather than sticking to what they know. Sometimes it’s fun to tear up the rule book, and makeup really allows women to do that! TIP 2: If you’re applying waterproof formulas avoid prepping skin with excessive amounts or layers of skincare, as it will cause your to makeup slide. Try nourishing makeup primers instead, to smooth out skin and keep makeup in place. TIP 3: Beauty is about applying the correct amount of makeup to enhance yourself as well as the right amount to disguise the bits you don’t like. Less is often more, particularly when it comes to concealer, so I advise my clients to gradually build coverage in order to reach the desired effect. For a more precise application I recommend that you use a very fine brush, as it helps you to control the product, which is especially useful when concealing blemishes. TIP 4: If you’re nervous of wearing bright lip colours during the daytime, re-work your evening look with a bold, statement pout. It helps you to get used to the shade and will undoubtedly boost your confidence, meaning you’ll eventually be able to transition! TIP 5: The most important thing to remember is to always blend, blend, blend! It’s the most common mistake I see. Remember, that the desired result should be you wearing the makeup and not the other way around. TIP 7: Using a lip liner will not only help to create a fuller lip, but you’ll get a far more precise finish. Give your lipstick extra staying power by first outlining your lips and then colouring in the entire lip area with the pencil – it will make your lipstick work much harder! TIP 8: Want to make your eyes look big and bold? Don’t apply your eyeliner from the inner to outer corner as it can make eyes look small; just apply it from the outer to half way along. This technique creates a much subtler and sexier finish too. TIP 9: Make your base work harder for you but opting for medium-coverage that can adapt to skin’s needs; on days you want a sheer finish just add a drop of moisturiser to dilute the formula and apply with a damp sponge, or on days when you need a little extra help then use the product undiluted and layer up for more coverage. TIP 10: Create a smoky eye look with just one pencil, saving time and money! Apply your chosen colour quite heavily to the lower and upper lash line; use a smudger brush over the pencil and keep blending backwards and forwards until it looks like eyeshadow, but don’t blend too near to the socket. Go back and apply another line, but this time don’t smudge it as much; finally apply a crisp line, only smudging this one lightly. Ta da! Which of Daniel’s top tips will you be giving a go? Do you use any of these already? 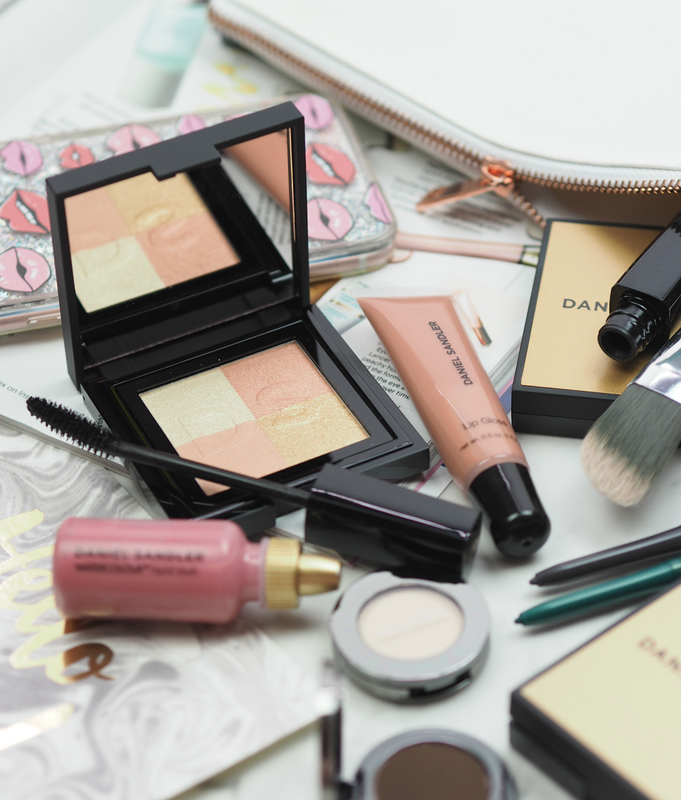 If you want to get to grips with some of the iconic and best selling products from the range, then you’re in luck – because we’re giving one lucky reader the chance to WIN a goodie bag busting with all my fave Daniel Sandler makeup treats, including: Intense Volume Pro Mascara (£18.50), Instant Tan Bronzer (£22.50), Radiant Glow Highlighter (£29.50), Sculpt and Slim Palette (£25.50) and a 4 Piece Watercolour Customisable Kit (£49.50). In total the bundle is worth £145.50! If you want to be in with a chance of winning, just enter via the widget below. You’re welcome! 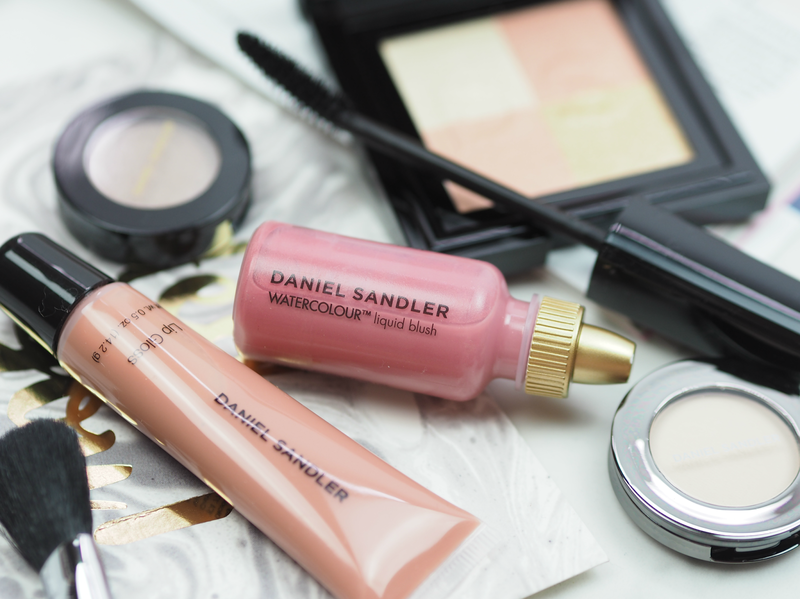 This is a sponsored feature in partnership with Daniel Sandler Cosmetics; all opinions are my own. If you have great pearly whites it won't matter, but if you're conscious of it's worth having a look through and picking the shades that work for you! Glad they were useful Candice! It's so simple but so effective! There's some fabulous tips here, thanks. I need to have some make-up lessons as I would love to be able to do eye shadow but have no clue! I love wearing red lipstick, I think it really suits me and it gives me confidence. This brands sound great and I look forward to trying it. Daniel has some great 'how to' vids on his website – check them out as I'm sure they'd really help! He also does insta vids and stuff and I'm sure would answer your questions. Kind of surprising to read such heavily gendered language, when even big brands these days are realising that makeup appeals to more than just the group that self-defines as women. It reads quite old-fashioned, which is odd for a newly-launched brand. Thanks for your comment and raising concern – it's something I hadn't personally noticed or taken issue with, and I don't doubt that Daniel hadn't intended it that way either. If you read back the tips they're completely genderless and can be interpreted in many ways, depending on how you choose to use and apply makeup. I'm not sure what elements you think are heavily gendered? And Daniel's brand was launched nearly 15 years ago, so it's well established, not new. If you make any recommendations or suggestions then I'm sure they can be taken into consideration – brands (and us bloggers) are still learning. Thank you. You're so right Marie! Thank you! It's been up a week and you were the only one to point it out 🙂 Have updated the proper tip!